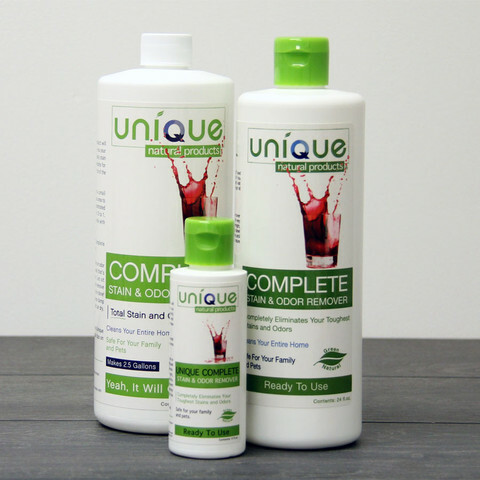 Carpet Shampoo is the natural and effective solution to carpet cleaning. 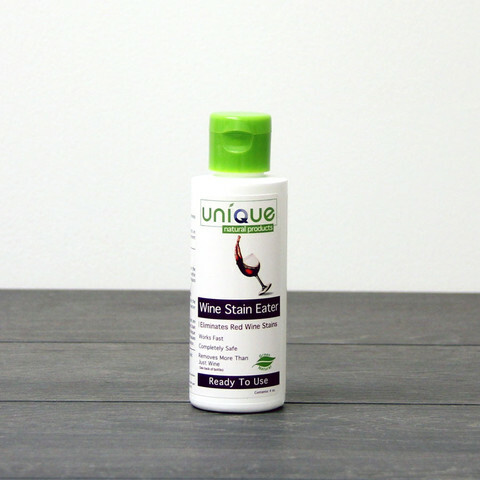 This highly effective, safe, product can be used as a spot remover or in a carpet cleaning machine to completely eliminate large stains and odors. When you clean your home with Carpet Shampoo you will get fresh smelling, clean carpets, without leaving behind anything that can be harmful to your family or pets. Unlike most soap-based carpet cleaners, Carpet Shampoo will completely clean your carpets without leaving a sticky residue behind. Just because it is natural doesn't mean you have to settle for a less powerful product. We make safe products that work! And work, this does! We guarantee that you'll love this product or we will give you a full refund! 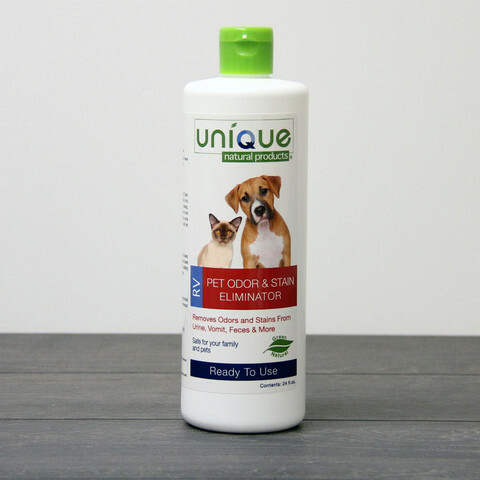 Pet Odor and Stain Eliminator is a natural cleaning product that will eliminate all of your pet stains and odors on any surface that won't be damaged by water. People want plain and simple products that work. This product is safe and it works, plain and simple. 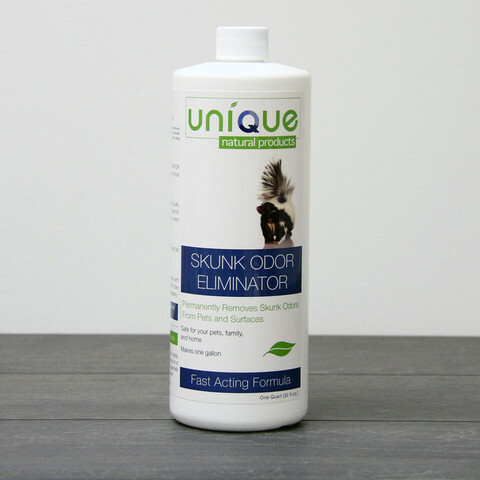 Pet Odor and Stain Eliminator is guaranteed to remove pet related stains and odors or we will give you a full refund! Pets are amazing, however their happy little accidents are not. When traveling in smaller spaces, you don't want pee to be your air-freshener. 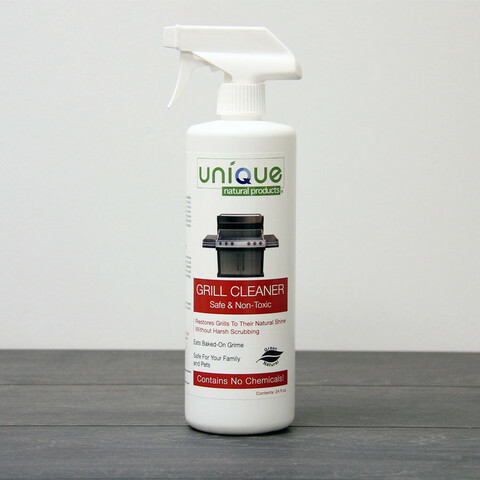 The RV Pet Odor & Stain Eliminator will completely eliminate any and all pet stains in your RV. It is also completely safe and gentle to use around children and pets. That means a happy and healthy RV family. If you don't love it, we'll give you a full refund! 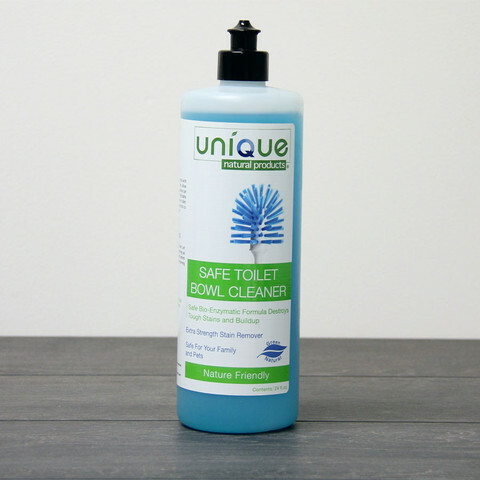 Safe Toilet Bowl Cleaner is a safe, bio-enzymatic formula that will completely clean your toilet without using harsh chemicals. The use of chemical based toilet bowl cleaners can have a negative effect on not only your family but also on the environment and water systems. 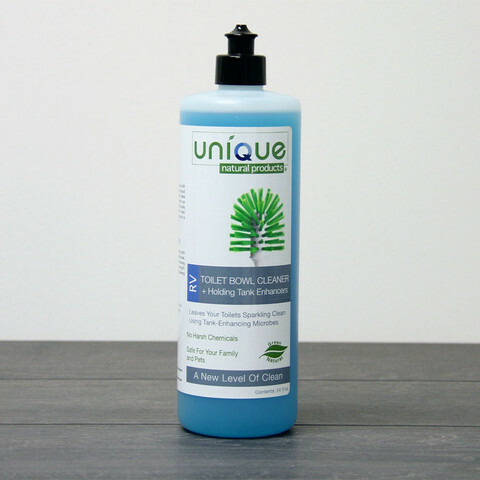 Safe Toilet Bowl Cleaner is made with natural ingredients that will safely and effectively clean the toughest stains left behind in your toilet bowl. 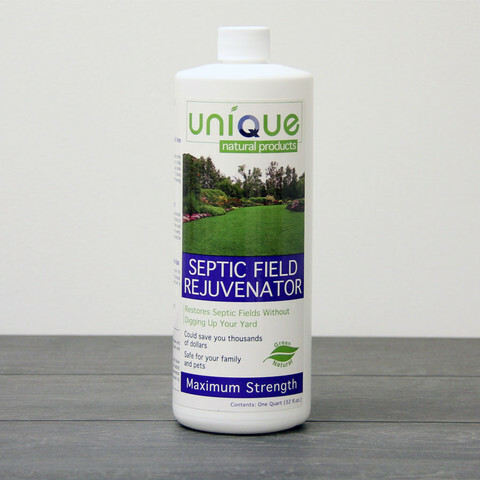 RV Toilet Bowl Cleaner + Holding Tank Enhancer will leave any toilet sparking clean, without leaving any residue behind. 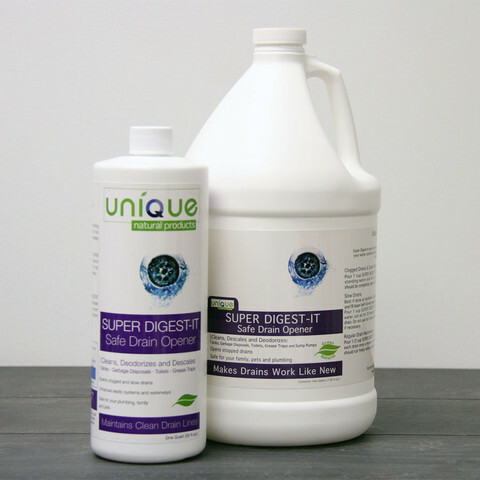 There are no chemicals in the Toilet Bowl Cleaner, just cleaning microbes and natural ingredients. 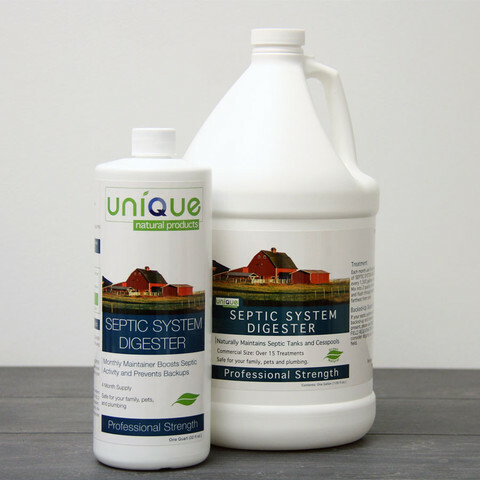 Chemical and/or bleach based products negatively affect the natural digestion in holding tanks, and can actually lead to clogs and back-ups. 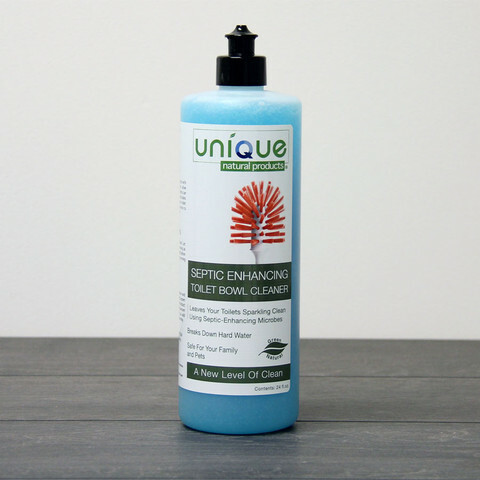 Unique's RV Toilet Bowl Cleaner + Holding Tank Enhancer will not only thoroughly clean your toilet, but the microbes will aid in the digestion in your holding tank eliminating odors and clogs. If you don't love it, we'll give you a full refund! 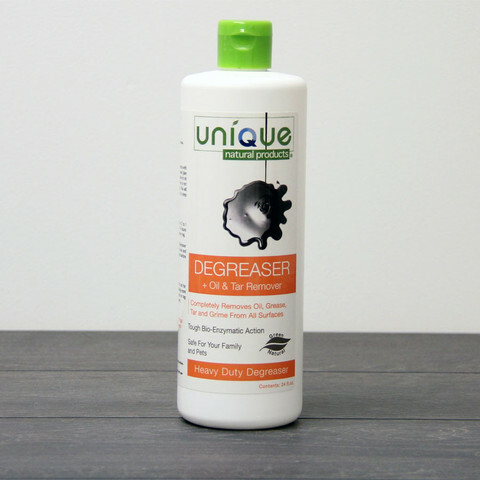 Degreaser + Oil & Tar Remover is a natural, microbial-based cleaner, that will cut through the toughest grease and grime. Use it on any surface, including: driveways, tools, engines, outdoor furniture, concrete, blacktop and much more. No need for harsh chemicals or scrubbing! Degreaser + Oil & Tar Remover is strong enough to eliminate oil spills, while being safe for humans, animals, and plant life. Let nature tackle your toughest grime and grease problems.